Overlooking Bassenthwaite Lake – it’s a great place to be! Two double and one twin – all en-suite. Three lovely apartments sleep from 2 to 6 people. 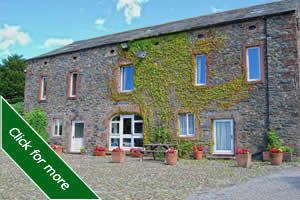 Kiln Hill is a traditional Lakeland barn converted to provide comfortable accommodation with plenty of parking and good views in a quiet location ideal for walking and close to Cockermouth and Keswick. 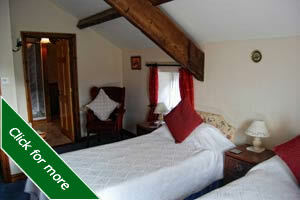 We offer 2 Double en-suite bedrooms and 1 en-suite Twin bedroom each with tea and coffee making facilities and TV. The recently converted self catering accommodation at Kiln Hill Barn is ideally situated in it’s own grounds enjoying spectacular views across Bassenthwaite Lake and the fells around Skiddaw. In a rural setting, yet only minutes from Keswick and Cockermouth, it is an ideal base for sightseeing or activity based holidays. Kiln Hill has a truly magnificent Caravan Club Certified Location with uninterrupted views down and across Bassenthwaite Lake and over to the Skiddaw range of fells. 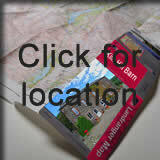 Convenient location, easy to reach, easy to park and easy to see why people come back time and again! 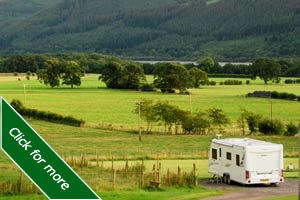 Why not book a site and enjoy some fantastic views from your caravan door!